Hands-On Learning | Highfields, Inc.
Students in Highfields’ after school program, Reaching Higher, are opening their minds to new ideas thanks to a special program with Jackson District Library. What do you get when you put together a battery pack, aluminum foil, wire, a buzzer, play dough, and a cardboard box? That’s just one of the unique learning activities offered to 5th-8th grade students in Highfields’ after school program, Reaching Higher, thanks to a special partnership with Jackson District Library. Jackson District Library was awarded a grant from Michigan International Speedway (MIS) Cares to teach STEAM (Science, Technology, Engineering, Arts, and Math) to select Jackson area schools. The grant focuses primarily on coding and circuitry. Sarah Hashimoto, Branch Manager at Jackson District Library, selected to teach Highfields’ Reaching Higher program at Da Vinci Primary School. 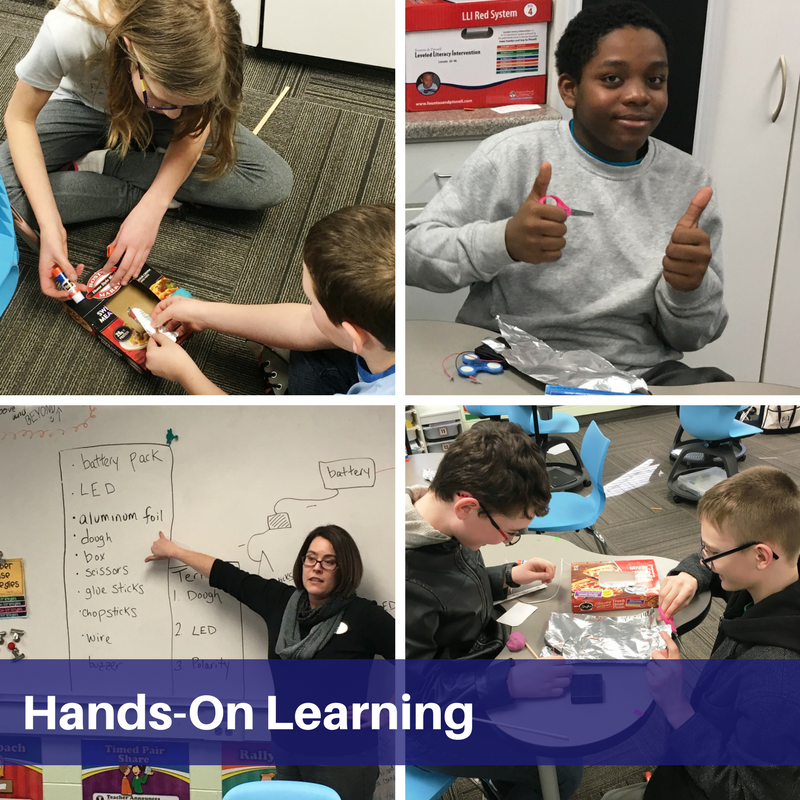 She teaches STEAM activities, like squishy circuits, which teaches the basics of electrical circuits in a hands-on way by using conductive play dough. Fifth-grade student Rachel signed up for STEAM because it sounded interesting. Her favorite activity is Makey Makey, an electronic invention tool and toy that allows users to connect everyday objects to computer programs. The STEAM program will run for eight weeks at Da Vinci Primary School. Reaching Higher staff plans to run another eight-week program because of the positive feedback from students.